After years running his own restaurant in France, followed by five years perfecting his style at the Ritz-Carlton Buckhead, chef Christophe Le Metayer has brought his elegant cuisine to Alpharetta. But you won't find it in a fancy, reservation-only restaurant. For his FieldGood concept Le Metayer and his partners have kept it casual, with a menu that's flavorful and fun. "I live out this way and didn't see anything like this around", said Le Metayer, who transformed a former coffee shop into a cozy, 25-seat eatery for breakfast, lunch and dinner. 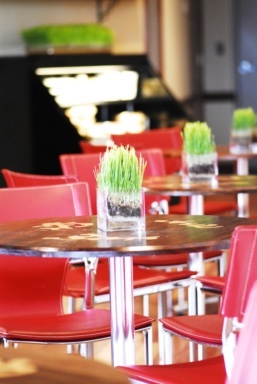 There are another 26 seats on the patio, where the guests can linger late over an array of desserts and coffees. Those who strolled by the FieldGood booth at the recent Taste of Alpharetta got a sampling of Le Metayer's talent with his chocolate-iced éclairs. The chef also took first prize in the food competition for the best casual entrée, serving a quiche of collard greens and bacon. His dessert trio of chocolate mousse, raspberry tart and a pistachio and cherry cake won the dessert and best presentation prizes. Le Metayer opens at 7 or 8 a.m. with an array of baked goods to tempt even the most devoted sleepyheads out of bed. Start with a danish, low fat- muffin or a chocolate croissant alongside a plate of scrambled eggs and hash browns. Bagels, plain and onion, the favorite collard green or might be ham and Swiss or vegetables. Jump-start your caffeine fix with an espresso, latte, café au lait or cappuccino. For mid-day dining, Le Metayer offers nine chilled salads, from classic Caesar or Cobb to plates piled high with Asian shrimp in a ginger dressing, grilled vegetables or crab and avocado. Sandwiches a include tuna salad, almond chicken on a croissant, vegetable and chicken paninis and beef ribs quesadillas. No matter what your main choice is, save room for dessert. Indulge in a classic crème brulee, cheesecake or chocolate mousse, or tempt your palate with a meringue lemon tart, lime mousse with raspberries or the cookie du jour. And be sure to check the display case- you never know what creation may turn up on the shelf on any given day. 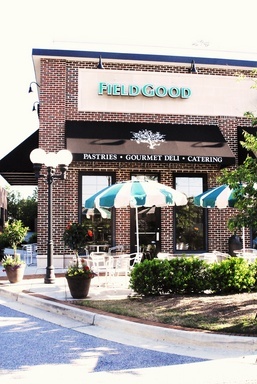 It's all soft at FieldGood, where sodas, iced coffees and iced tea lead off a drinks list that includes Celtic mineral water, sparkling lemonade and homemade iced chocolate. Hot chocolate and tea are also on the list of hot drinks dominated by the coffee creations.